Two Tulane sophomores and an student visiting from another school are accused of setting another student's dorm door on fire. David Shelton, 20, (top left) Naima Okami, 20, and Robert Money, 21, are all facing arson charges. 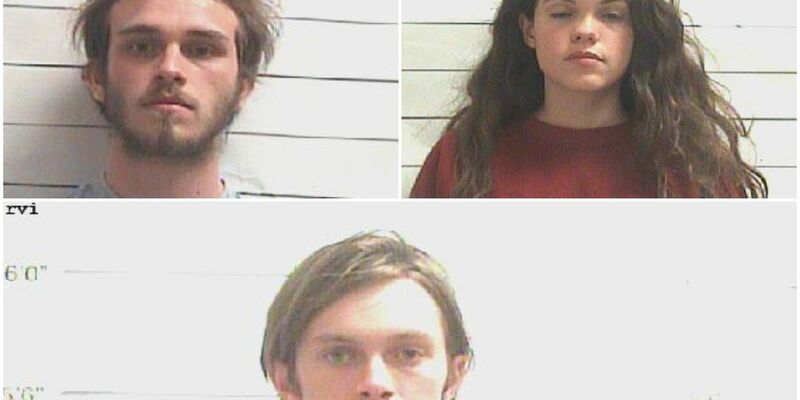 NEW ORLEANS (WVUE) - Two Tulane University sophomores and a student visiting from another school are accused of setting the door to another student’s dorm on fire early Saturday (March 23), according to Mike Strecker, a spokesman for the school. Three people lit a sign on Peyton Lofton’s door on fire just after midnight, Strecker said, but the flames were quickly put out. No injuries were reported, he said, and the door only had “minor damage." The incident was caught on security cameras, according to Strecker, and the students were identified as 21-year-old Robert Money and 20-year-old David Shelton. Strecker said the third person was identified as Naimi Okami, a 20-year-old Brown University student. All three were arrested late Saturday and booked into the Orleans Justice Center jail -- each with one count of arson, online court records show. They all appeared in court the next day, where Orleans Parish Magistrate Commissioner Robert Jonathan Friedman set their bonds at $10,000 each. As of Sunday night, it appeared all three had been released on bail. According to Strecker, Tulane Police are still investigating the incident, and as of Sunday night, the reason for the crime was “not yet clear.” However, Strecker said there is “no indication” the act was politically motivated, despite reports Lofton was targeted for his involvement in multiple conservative groups on campus. Strecker confirmed Lofton is the president of Tulane’s chapter of the right wing group Turning Point USA as well as participating in a Libertarian organization called the Young Americans for Liberty. Turning Point USA’s national chapter shared a statement from Lofton on their Twitter page, which drew attention from high-profile conservatives, including Donald Trump, Jr., who also tweeted about the incident. While Lofton referred to the students who lit the fire as “radical activists,” in his statement, Strecker said TUPD have not found evidence pointing to that. However, Strecker said the school is taking the incident very seriously and said campus police are “thoroughly investigating” it. “Tulane University is committed to protecting the safety of all in our community and to protecting free speech on campus. Our campuses are and should remain places where ideas can be expressed free of disruption, intimidation and violence,” Strecker said. The university’s newspaper spoke with Lofton’s roommate, who said he did not know why the fire was lit, but had no reason to think it was politically motivated. “I think it was probably a drunk prank. I don’t want to rule out the idea that it was politically motivated. Don’t have any proof that it is, don’t have any proof that it isn’t,” he told the newspaper. Correction: This story was updated to include the name of the correct commissioner who set the suspects’ bonds.